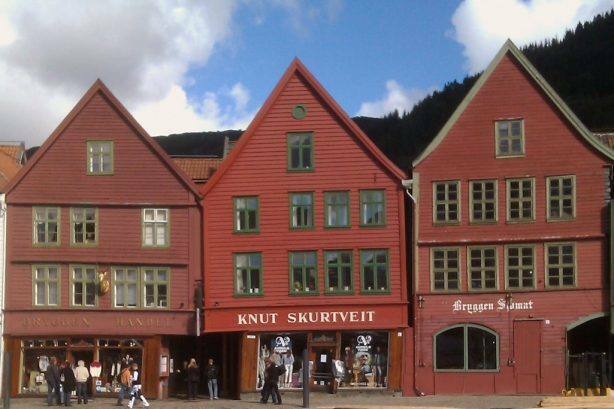 Norway in a Nutshell® is a short Fjord tour package starting in Bergen, including the Norway in a Nutshell combination trip with Fjord cruise on the narrow, Unesco Naeroyfjord & the scenic Aurlandsfjord, the famous Flam Railway & the spectacular Bergen line. 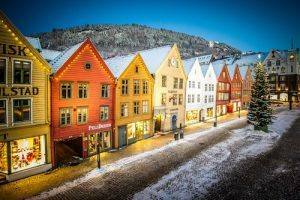 Overnight stays in the picturesque coastal town of Bergen, the tiny Flam fjord village & in Oslo. 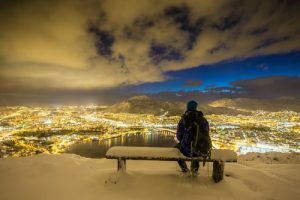 Individual arrival to picturesque Bergen; see the Unesco Bryggen Wharf, the Fish market, take the Funicular railroad to the top of mount Floyen- offering you a marvelous view of the city and the surrounding fjords & islands. Make sure to visit the authentic areas with tiny, wooden houses and narrow streets at the hillsides, at the Nordnes peninsula & Marken area close to the train station. Morning train from Bergen to Voss, where a connecting coach is waiting at the train station. A scenic trip across local mountain areas and through the Gudvangen valley to the inner parts of the Sognefjord and the tiny Gudvangen fjord village. The coach takes you directly to the pier. In Gudvangen you board a ferry for an unforgettable Fjord cruise on the UNESCO Naeroyfjord branch and the spectacular Aurlandsfjord branch, to the tiny fjord village of Flam. Naeroyfjord means the narrow fjord in Norwegian – the narrower branch of the Sognefjord. 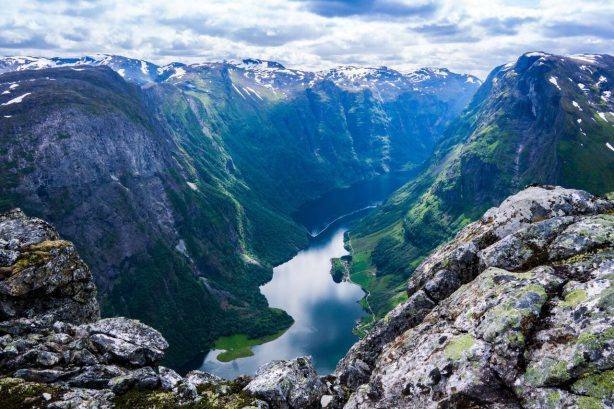 This is one of the most spectacular fjords in Fjord Norway. Disembark the ferry in Flam and check in at the Fretheim Hotel. 3 course dinner included. Winter Fjordsafari is a fun and engaging tour by RIB boat, where you have the chance to get close to small villages and waterfalls along the way, with a stop for hot drinks and a taste of the local goat cheese in the village of Undredal. Additional night in Flam. 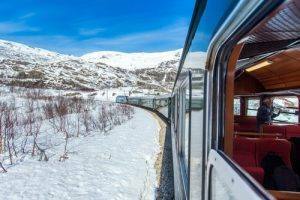 After breakfast you board the famous Flam railway for a 1 hour journey through the spectacular Flam valley, with mountain peaks, waterfalls and the Flam river, to the mountain station of Myrdal. 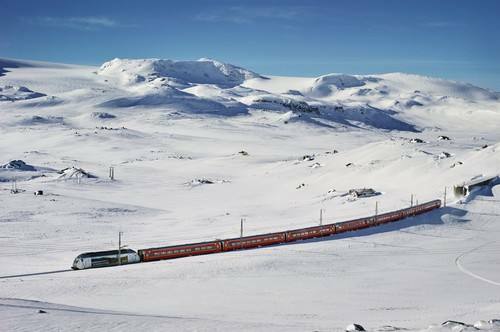 Change to the main Bergen line, taking you across the impressive Hardangervidda mountain plateau to Oslo. Check in at a centrally located hotel. This tour can also be booked as a 5 nights Norway in a Nutshell® winter tour. The UNESCO Naeroyfjord is one of the most spectacular fjords in Fjord Norway. 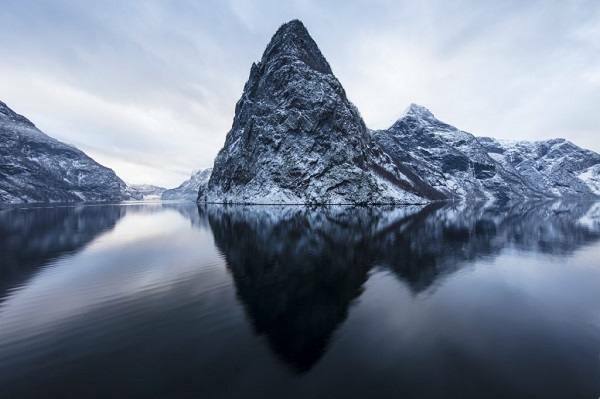 Due to the steep mountain sides there are no roads along the fjord, hence a fjord cruise is the only way to experience this narrow fjord – one of nature’s wonders!